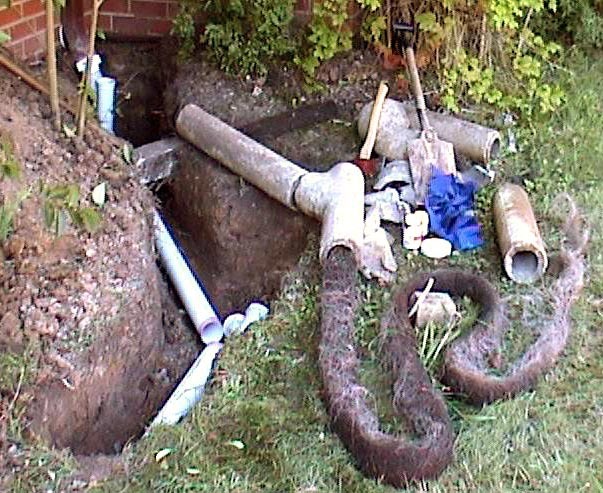 I have been getting into stormwater drain and the tree root business this weekend. After getting a plumber in last Thursday He told me to get a back hoe in, anyway I ordered one but I did some hand digging on Saturday and found the extent of the main problem was only 10 metres of roots. 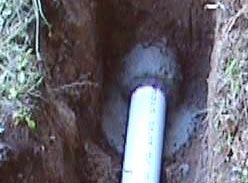 I have now replaced 4 metres of concrete pipe with 90 mm PVC. I am just waiting now for the concrete to set before connecting the final pieces. I should hopefully get it working before it rains on Tuesday.